Live from Swaziland ... it's Saturday morning! : “Violent or graphic content”?? On Thursday Nokuphiwa turned 9-years-old. On Friday she received the first of many surgeries to repair and reconstruct the damage done to her face when she was burned as a 5-day-old baby in her stick and mud home in rural eSwatini. 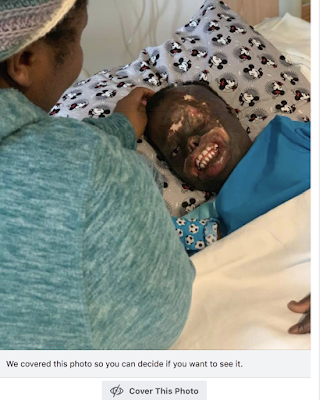 She and her guardian (Nokwanda) have been in Boston for the past month as the original surgery was delayed. No one really knew what the surgeons would do first. She has a large piece of skull missing, leaving her brain and a major artery protected only by skin. We thought they would do that first, but that is not possible until her lips are released and rebuilt. One step at a time. Yesterday they took the first step and released the skin on her lower lip and giving her a new lip from skin on her leg. She will be in recovery for four weeks and then they will do the same procedure on her top lip. The world was praying for this little girl yesterday and well wishes came in from many countries. I have shared in past blogs that Nokuphiwa is the happiest child I have ever met. She rarely has a bad day, and her joy is infectious to all who are around her. She was not afraid of the surgery and even entertained everyone in the waiting room with Swazi dancing while she waited her turn. Below is the photo that was posted. A happy little girl who just came out of surgery and wanted to tell everyone that she was doing okay. A thankful little girl whose life has been changed by the generosity of others. A little girl who enjoyed her Princess birthday party, her Elsa (from Frozen) birthday cake and the bucket of water that was thrown on her (a Swazi birthday tradition). And an algorithm decided that her photo was violent or graphic. I will ponder this more today, but for now I am just thankful. I am thankful for the Shriners Hospital in Boston who is doing all this surgery for free. I am thankful for the Global Medical Relief Fund who is overseeing Nokuphiwa’s care and funding the flights to and from eSwatini to the US. I am thankful for our dear friends, the Habelow family, who are hosting Nokuphiwa and Nokwanda IN THEIR OWN HOME for two months and treating them like their very own family. And I am especially thankful for Nokwanda, a young Swazi woman who just graduated from University who said “yes” to being Nokuphiwa’s guardian, teacher, mother and friend. Your kindness and selflessness will be rewarded. These surgeries are not only life-saving, they are also life-giving. They will not only help this child so that she can go back to school without being spat at or attacked, they will also allow her to see better, hear better, eat easier and not run the risk of death if she bumps her head in the wrong spot. In other news, back on Project Canaan, we had our first harvest of bananas delivered to the kitchen yesterday – 1,230 of them! Ian was THRILLED and this week the kids will get banana muffins! Thank you Lord for your provision. We still need 161 avocado trees to reach our goal of planting 500 trees that will provide fresh avocados all year long for our children. 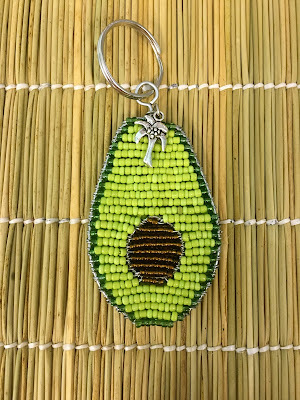 Will you help us today by buying an avocado keychain from Khutsala Artisans? 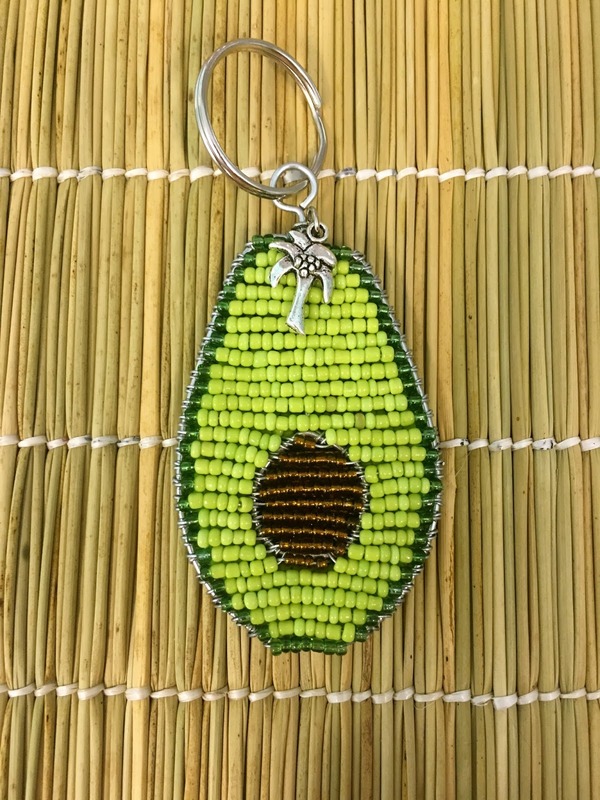 Or by making a donation to Heart for Africa in the US or Heart for Africa in Canada with a comment “avocado trees”. Thank you. Live from eSwatini … I am thankful to be a part of this journey. 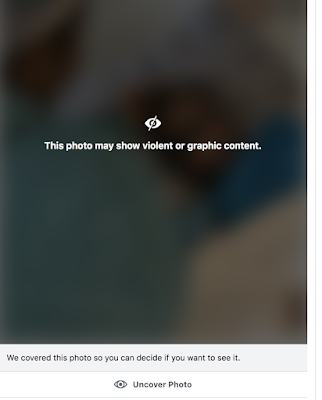 PS - we asked Facebook to review their decision to hide the photo and they have done so now.